“21 April 1774 Our Brethren Jno Creasy and Jno Dermer were appointed by the church to admonish Jno Froy for the sin of Drunkeness (in which he has been repeatedly found guilty). Our Brethren W Wilshere and Thos Baldock who spoke to him about two months ago having found him remarkably stupid and unaffected with his case. The brethren who conversed with Jno Froy acquainted the church that he owned himself guilty of immoderate Drinking but he rather palliated by saying he did not go to the Ale house for it. He did not seem to discover any contrition or Brokenness of heart and sent no message to the Church so it was agreed to let it rest for some time to see how he would behave”. “24 September 1775 John Froy was excluded from communion of the Church for Intemperance having been repeatedly admonished by the church. Our brothers Wilshere and Stevens were appointed to acquaint him with it”. “17 November 1774 Mrs Field (who lives the other side St Albans) was excluded from the Communion of the church for Whoredome and a letter was read and approved by the church to acquaint her with her exclusion”. “16 January 1777 Joseph Maulden was spoken to on account of his Indolent Behaviour. His Wife, Himself and Family Half starving and he will not seek for work nor put himself forward to do something. In his defence he pleaded that there was no work to be got”. Other concerns were centred around the weather and the harvest. 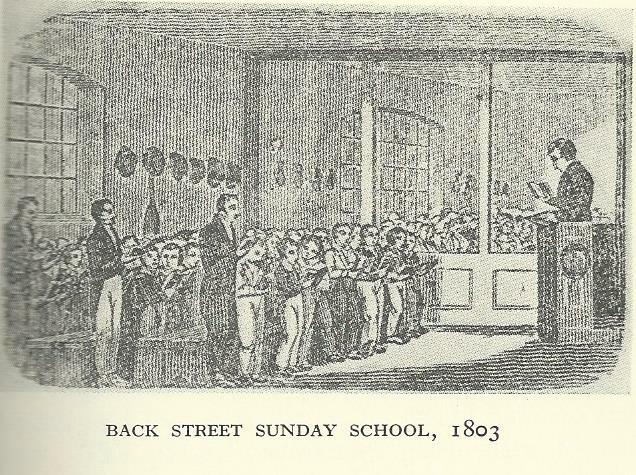 “6 June 1793 Mr Griffiths [ the Pastor] introduced the service with reminding us of the mildness of the Last winter which afforded plenty of provision both for man and beast …. And also that owing to the Stagnation of Trade , the Labouring Poor are likely to become a very heavy Expence (sic) to the Nation as we are Informed that at Birmingham and Manchester &co the Manufacturers turn off 50 to a 100 at a Time. Also the present War against France in conjunction with Holand (sic), Prussia and Austria was represented as likely to prove a great calamity to the Nation and a source of unknown evils”. In spite of this, the final comment on this report was: “NB It was a pleasant meeting blessed be to God”. International and national affairs were often the subject of attention. “8 December 1755 Some time spent in prayers – relative to the dreadful earthquake on the 1st November at Lisbon”. “The next Wednesday 18 June (1746) be set apart for thanks to the Lord on account of the great goodness of the Lord to the Nation especially in the great Victory obtained over the Rebells.” (The Battle of Culloden was April 1746). 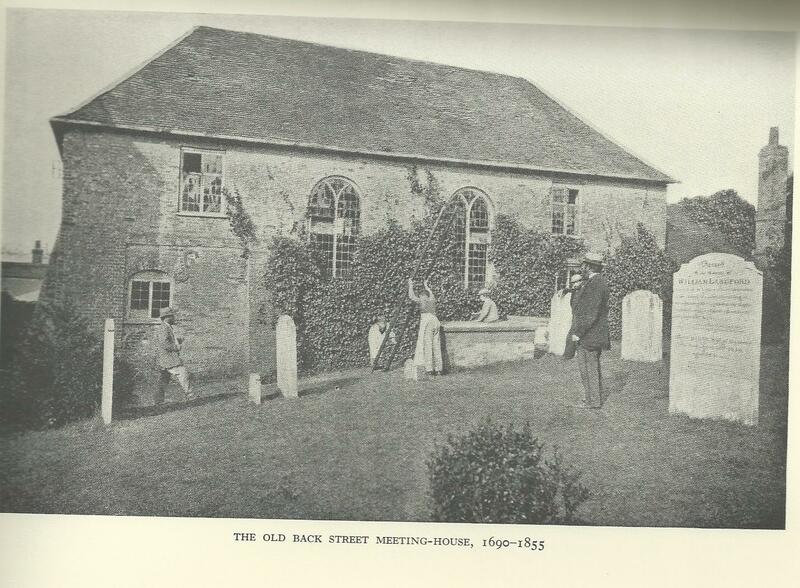 More information on the history of the church can be found in Reginald Hine’s “History of Hitchin”. 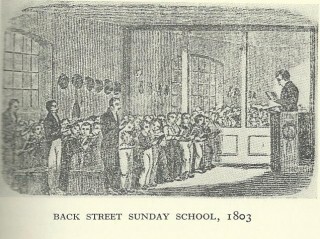 As he noted, the Meeting often joined with the Baptists. An important joint meeting was to pray for the health of King George III: “14 November 1788 An Extraordinary Meeting of Prayer of both churches was held at Back Street meeting on account of the King’s insanity …. Well attended”. 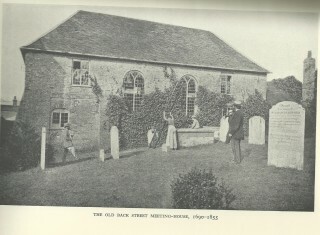 and local imperatives – such as the harvest:” 23 July 1789 An Extraordinary meeting of prayer of both churches was held at the Back Street meeting on account of the rainy weather which had continued about 5 weeks and looked gloomy upon our harvest”.